New season summer sweet corn is has arrived at the farmers markets. Because it’s locally grown, the corn at the markets is super fresh, and full of the sugars that make it so sweet. Eat it the day you buy it for maximum sweetness. 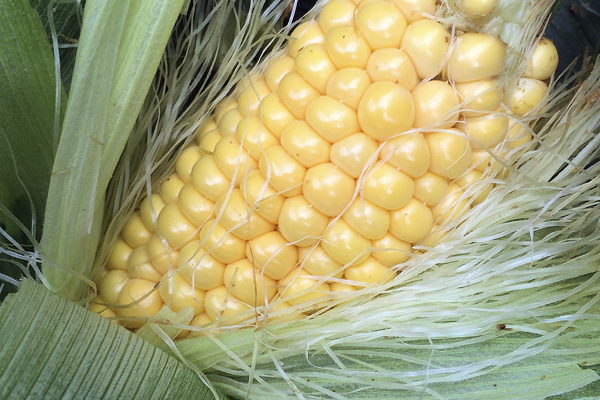 Find sweet corn at the Everest Farm stall. If the warmer weather has got you feeling like a detox and craving all things fresh, clean, and green, try adding some sprouts to your diet. Sprinkle on salads, sandwiches, stir fries or soups for extra flavour texture and nutrition, add them to green juices, or enjoy them on their own dressed with some olive oil and salt and pepper. 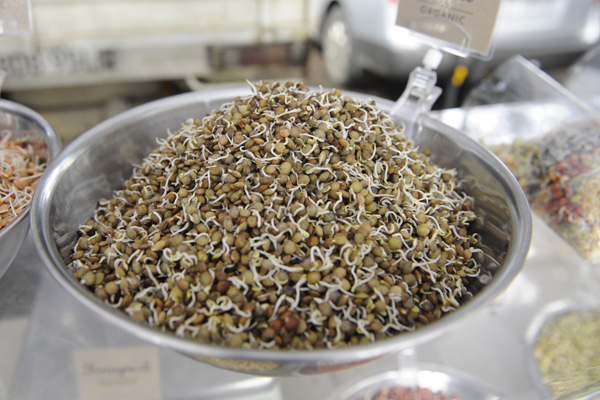 Sprouts are available from Denyse Latham’s lettuce stall. and from Summit Organics. An essential ingredient in Asian cooking, this fragrant and fresh tasting herb adds flavour to curries, salads, salsa, guacamole. eggs, and fish dishes. Sprinkle leaves on just before serving for the best flavour. Blend with macadamia nuts, olive oil, garlic, lemon juice and parmesan for a coriander pesto – a great alternative to basil, which is only just starting to come into season locally and is not widely available yet. Don’t throw away the roots – they add amazing flavour to Thai curry pastes. Fresh coriander available at The Gourmet Salad Hut. 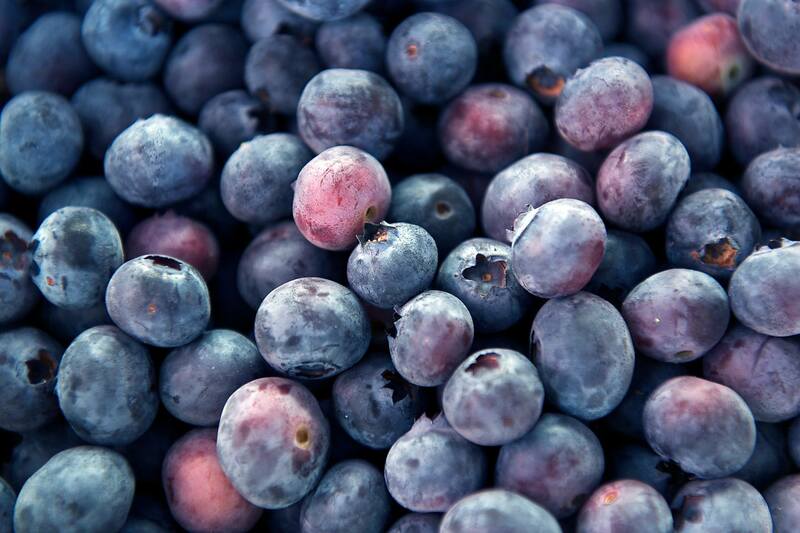 The popular Blueberry Fields stall has just returned to the market with beautiful new season Brooklet-grown blueberries. Get in early for the buckets of seconds as they always sell out quick. The local avocado season is coming to an end, but there are still some fruit available from Jumping Red Ant. Byron Creek Farm produce top quality free range, locally raised and processed pasture-raised chicken. Also look out for their beef products and home made beef broth made from their own grass fed beef. Full of vitamins, minerals and antioxidants, fresh beetroot is one of the healthiest vegies out there. Grate it raw into a salad; juice it with apple, carrot and celery (you don’t need much – a little bit of beet goes a long way) or wrap in foil and roast in the oven for a delicious addition to a roast vegie salad. And don’t throw away the leafy tops of these root vegetables – packed with Vitamin K, A and more iron than spinach, they’re said to be even better for you than the beets! Treat them as you would spinach or silverbeet – throw them in a salad or sauté in some olive oil and balsamic as a side dish. Find beetroot and beetroot greens at Everest Farms and Jumping Red Ant.